Publisher: Blackie & Son, exact date unknown. Most likely 1912. Scarce! 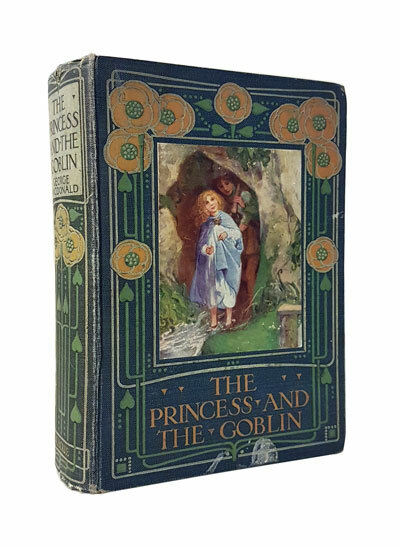 Condition: Hardcover, decorative cloth. Binding shaken, a couple of pages and illustrations have closed tears but all intact. Slight yellowing at times. Overall decent. 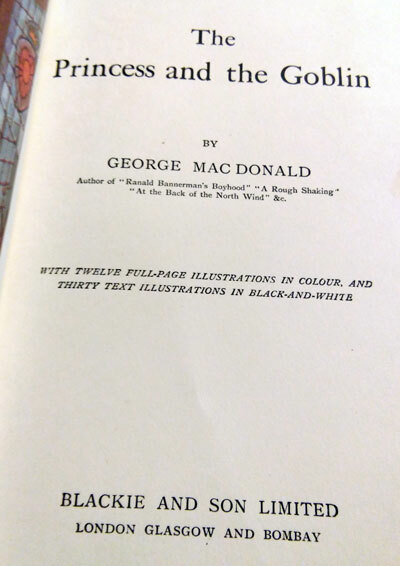 With 12 colour and 30 black and white illustrations. 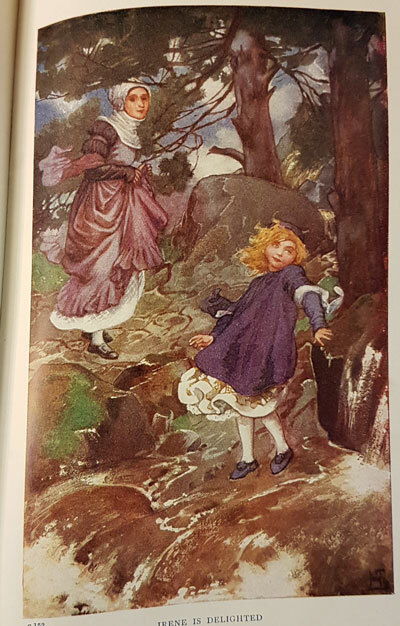 The Princess and the Goblin is a children’s fantasy novel by George MacDonald. 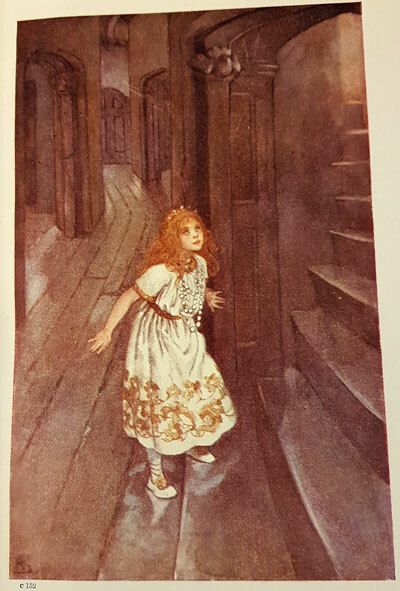 It was published in 1872 by Strahan & Co.
Anne Thaxter Eaton writes in A Critical History of Children’s Literature that The Princess and the Goblin and its sequel “quietly suggest in every incident ideas of courage and honor.” Jeffrey Holdaway, in the New Zealand Art Monthly, said that both books start out as “normal fairytales but slowly become stranger”, and that they contain layers of symbolism similar to that of Lewis Carroll’s work. 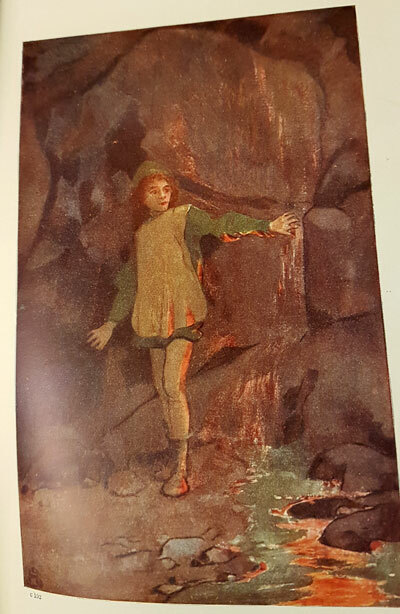 J. R. R. Tolkien’s depictions of goblins within Tolkien’s legendarium was heavily influenced by the goblins within The Princess and the Goblin.